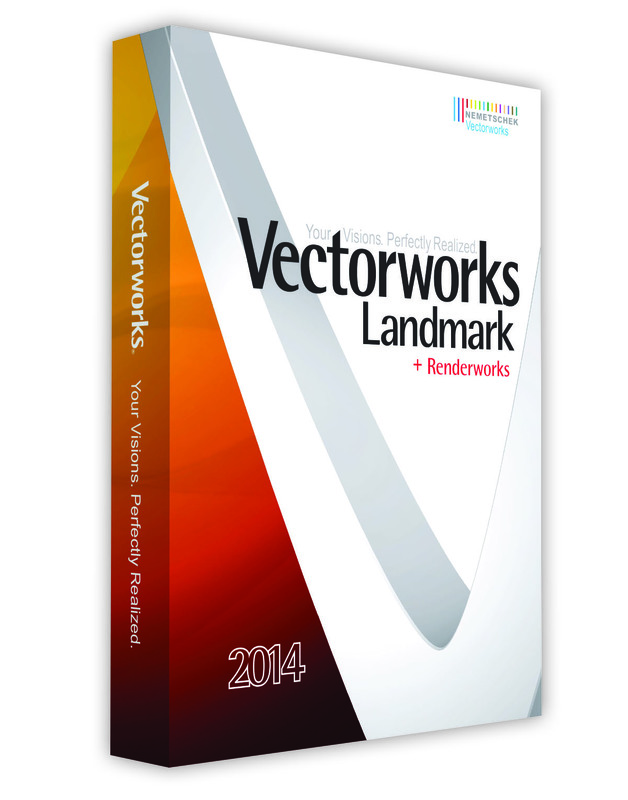 Vectorworks 2014, the latest computer-aided design (CAD) and building information model (BIM) software version from Nemetschek Vectorworks, is slated for release Sept. 17, when it will be downloadable for members of Vectorworks Service Select. The software will be available for shipping to other customers Sept. 23. The 2014 version bares more than 130 improvements to the product line, which is made up of Vectorworks Architect, Vectorworks Spotlight and Vectorworks Landmark. Most commonly handled by landscape designers, Vectorworks Landmark is useful in designing urban and widely exposed projects, such as the 173-acre Piedmont Retreat in Bluemont, Va., and the National 9/11 Memorial in New York. Vectorworks CTO Biplab Sarkar, Ph.D., said, in producing Vectorworks 2014, one of the top priorities was to close workflow gaps. Enhanced plant shadows enable the application of a document-wide shadow style to all plants on a drawing and the ability to create custom shadow settings for individual plants. Massing model improvements allows for work with smart objects in 3D for 2D plan representation. Document-wide and individual custom shadow settings can also be applied to massing models, and there’s the ability to specify floor usage data. New publish command provides the opportunity to select specific views and sheets from files, including PDF, DXF/DWG and DWF files, and save them as a named set for export or printing. Directly reference DWG/DXF or DWF files in Vectorworks projects. Export Shapefile command supports the export of objects in multiple classes, layers and additional object. New option to suppress the location adjustment for georeferenced data provides greater selectability and power in sharing data from a .VWX file, as well as increasing the number of layers and classes with record formats in a .SHP file. New commands to split and merge record formats in a Vectorworks document, giving more control over information associated with complex data files. OpenGL eases 3D model interactions, allowing for real-world 3D feedback in all-solid rendered modes, and enhanced walkthroughs, where the tool modes are streamlined and one may set the height of the viewer. X-ray select shortcut allows for temporarily seeing through solid objects in the area around a cursor. Taper face tool tapers the faces of 3D objects in a single step. Twist tool twists entire solids, solid faces or NURBS surfaces to a specified angle. Displacement mapping option makes more realistic renderings with materials such as grass, carpet, water, bricks or stone. Scripting with Python 3 allows developers to create document scripts and external plug-in parametric objects, tools and commands.